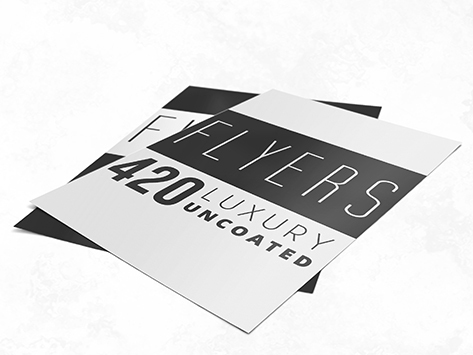 Our Luxury Uncoated 420gsm stock is the heaviest artboard we custom print on, meaning you have a sturdy base on which you can communicate all your messages. Our larger flyer sizes, such as A3 and A4, are typically printed on our uncoated stock and used in window displays or for store decorations. For franchisees that wish to portray a consistent image, this is an economical answer: quality print on durable stock plus affordable prices equals excellent branding.